"Mentor New York has a 25 year history of working with evidence-based mentoring programs to improve the lives of our youngest New Yorkers. With the help of the First Niagara Foundation’s generous support, we have extended our reach into Western New York. We are so pleased to be providing support, training and technical assistance to over 40 youth-serving organizations here as well as the 800 organizations around the state. Thank you First Niagara for helping us move the needle for the youth in your region and taking mentoring to scale!" Funding from The First Niagara Foundation provides opportunities for adults and youth attending BCAT’s workforce development and afterschool youth arts programs to find their path to a better future. Pharmacy Technician student, Shaheedah, shares this, “Growing up, I was always interested in medicine, especially the field of pharmacy. I didn’t have a chance to follow my interests. Instead, I’ve been a licensed cosmetologist since I was 17, but not earning enough to support my family. From day one at BCAT, I knew this was a new opportunity for me to be my best. The BCAT team never gives up on me and I will graduate and move forward with a new career. My two children participate in BCAT’s afterschool arts program and I’ve seen them gain self-confidence in a safe and loving environment. They discovered talents they didn’t know they had. BCAT brings out the best in all of us as individuals and as a family. It feels really good to have people willing to believe in us and see us succeed.” Thank you, First Niagara Foundation. 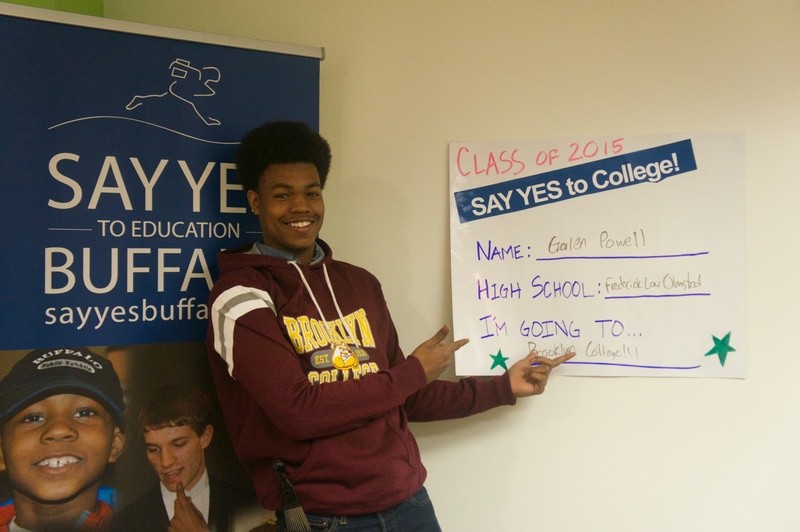 "Say Yes Buffalo is grateful to the First Niagara Foundation for their leadership support that has helped more than 4,000 students go on to college or post-secondary with the help of the Say Yes Buffalo Scholarship over the past four years. These students are the future workforce of our region, and with a college education they will contribute to and benefit from Buffalo’s renaissance. It is estimated that 165,000 new jobs will be created in Western New York in the next ten years and we are confident that these Say Yes scholars will help will help fill these positions. Investing in Buffalo’s young people by ensuring post-secondary education is an opportunity for everyone has a direct impact on our economy, and it is donors like First Niagara Foundation that make this important initiative possible." "Support from First Niagara Foundation has provided Buffalo Prep the ability to make a difference in the lives of hundreds of talented economically disadvantaged underrepresented middle school students across Western New York. First Niagara Foundation is a vital partner in Buffalo Prep’s mission to close the achievement gap and transform discouraging statistics into inspiring stories of success." "We are so grateful for the generous support of the First Niagara Foundation. Their commitment to funding evidence-based mentoring programs has helped to enhance the work and scope of organizations, like ours, in providing best practice, qualit y mentoring to the community's most at-risk children." "The First Niagara Foundation has been a long-standing and dedicated partner of the Albright-Knox Art Gallery. They have been steadfastly dedicated to ensuring that all students in Western New York, regardless of economic, academic or geographical background, have access to life-changing creative experiences. 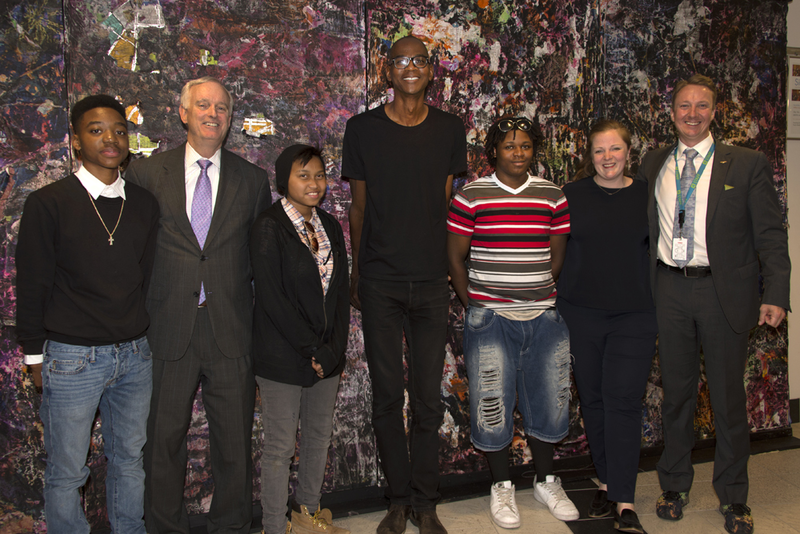 Their investment in WNY teenagers through the AK Teens program has shepherded countless students towards bright futures in college programs, as artists, and as burgeoning cultural leaders. Together, we believe in the transformative power of arts and culture and its ability to connect and uplight our entire community, beginning with our brightest young minds." Copyright © 2016-2019 First Niagara Foundation.